Jeff is a 1996 graduate of Marquette University Law School. He had a private practice for several years before becoming a legal technology consultant and founding both Krause Practice Management and Solfecta. With a desire to provide even more comprehensive service to his clients, Jeff joined Affinity Consulting Group in 2016. 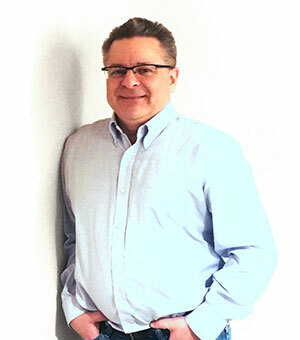 Jeff’s expertise ranges from case management, document management to billing and accounting. His career in legal technology has focused on not just helping other attorneys choose the right technology and use it the right way; but also, understanding how to apply it to their daily jobs in the context of their current work process. Ultimately, Jeff believes that lawyers need to think about their firms like a business. His goal is to help clients master business concepts that they can apply to their practice and achieve greater success. Jeff is a frequent author and speaker on a variety of legal technology subjects. He is the chair of the 2016 Wisconsin Solo and Small Firm Conference where he has also served as the chair of the Technology and Practice Management tracks. He is also the co-chair of the annual Milwaukee Bar Association Law & Technology Conference and helped develop and chair the Wisconsin Bar Association’s Business School for Lawyers initiative in 2014. Everyone loves when Jeff is around, especially those invited to his epic summer pool party at his family’s home in Milwaukee. Jeff loves to entertain and spend time with his wife and children, as well as their great neighbors. If you want to know Jeff’s weakness, he’ll do anything for Reese’s peanut butter cups or gummi bears. And as an avid beer aficionado, in his down time, Jeff never turns down the opportunity to visit local breweries as he travels throughout the country.